We can all use a little help staying current with the most effective practices in working with people with disabilities in achieving their work goals. Most of us may not have time to stay informed on all of the latest research and best strategies. That’s where knowledge translation comes in. Knowledge Translation means taking the latest research – especially proven, evidence-based practices, and defining practical, meaningful ways to incorporate these practices into your every day work. 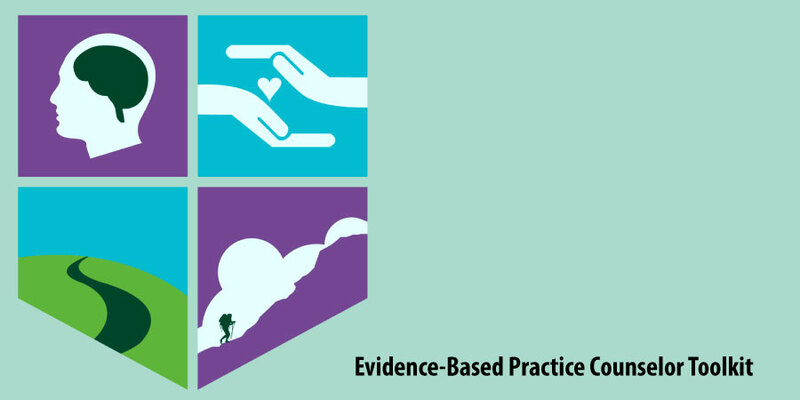 The Evidence-Based Practice Counselor Toolkit not only provides an overview of some of latest practices, but includes a vocational rehabilitation curriculum on how to implement them. This toolkit was developed specifically for vocational rehabilitation (VR) counselors working to improve employment, and quality of employment, outcomes for people with disabilities. It’s based on research conducted by the RRTC-EBP VR and contains valuable insights and instruction from the cumulative experience of VR service providers, community partners, rehabilitation researchers, and families and individuals with disabilities. What Evidence-Based Practices Are Included?